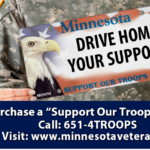 Drive home your support for Minnesota Military members, Veterans and their families by purchasing a Support our Troops (SOT) license plate for your car or motorcycle. 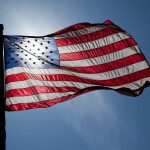 The Minnesota Department of Veterans Affairs, together with the Minnesota Department of Military Affairs, will use your annual minimum contribution of $30 for the betterment of military families and homeless and underserved Veterans around the state. Benefits CORE, which provides family counseling, with specialty services available for children; financial counseling, debt management and mental health counseling. To purchase SOT plates, visit your local DMV office or call (651) 4Troops (487-6677). SOT plates are also available from dealerships! Be sure to ask about SOT plates when you purchase your next new or used vehicle. Posts – Get Your Own Page! Hey there MN AMVETS posts! you can have your own post page on the Department website! Do you want to be able to maintain your own page and show everyone what your post is doing? We can make that happen! It is very quick and easy to set up and even easier to maintain! Let us know if you would like this. All you need is someone from your post who has access to a computer. We’ll provide some quick training and a how-to document. Contact the Department Office to request a page. Welcome to our updated website. You are invited to visit us often, as we will be updating the site with information of interest to all Minnesota Veterans. Thank you for visiting. If you would like to contact us, please email us.